This freelancer watch is equipped with a date function to help you stay in perfect control of your time. 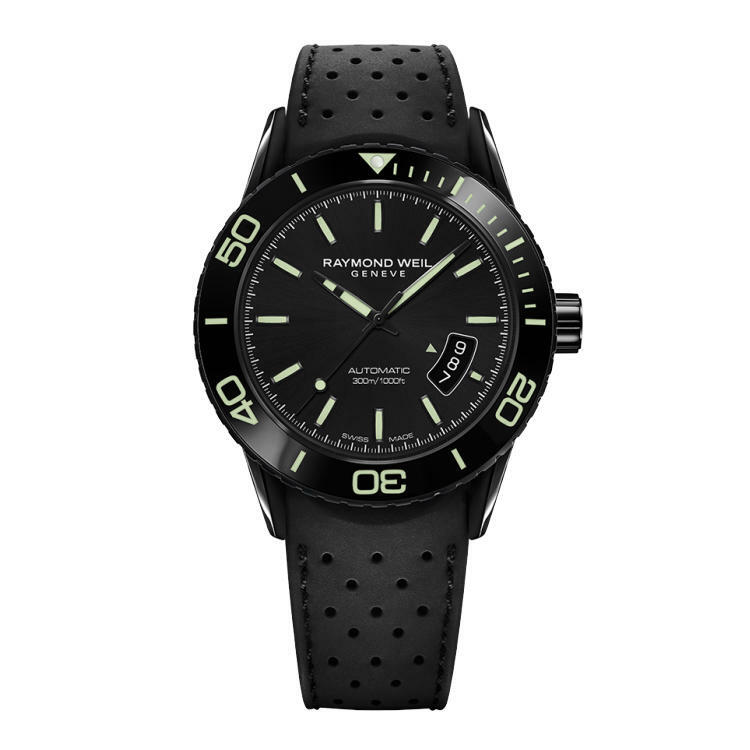 Water-resistant up to 300m, this timepiece is equipped with an automatic movement with a 38 hour power reserve. The black ceramic rotating tachometer bezel, touches of silver and genuine rubber strap add to its sporty character. This freelancer will impress elegant men who love to assert their style. This authentic Raymond Weil watch is sourced via an authorised Raymond Weil agent and is supplied with the official 2 year manufacturer's international warranty. Please allow 3-6 working days for delivery.